Nintendo's next mobile game is Super Mario Run, an endless runner starring the mustachioed plumber. It's a well-worn genre for phone games, though Nintendo plans on releasing it for a set price rather than free-to-play (or "free-to-start" as Nintendo has taken to calling it) with ample microtransactions. Before you get too excited, know that it will offer extra in-app purchases, according to its App Store listing. Update: A press release from Nintendo has clarified how Super Mario Run purchases will work: "a portion" of the game will be free, then you can pay to download the rest. So the base, free game is basically a demo. Nintendo creative boss Shigeru Miyamoto took the stage at the Apple keynote on Wednesday to announce the game. 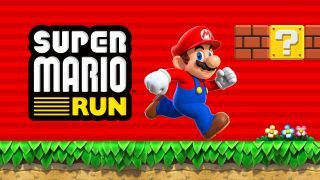 He emphasized how Super Mario Run can be played one-handed, by simply tapping to make Mario jump, and how it will feature extra modes that let players compete with friends and build their own Mushroom Kingdom. As for dedicated Nintendo fans, the visual style should be familiar if you've played any of the New Super Mario Bros. games. Super Mario Run will be released in December. And don't forget about the Fire Emblem and Animal Crossing adaptations which are also on Nintendo's mobile games docket. Let's try to get all of our productivity out of the way before they arrive, alright?